Are you mad for plaid? 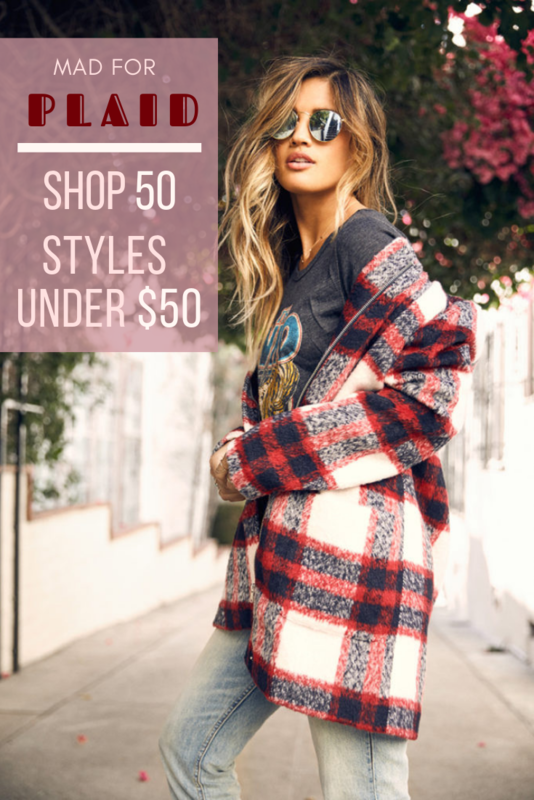 Check out these 50 gorgeous styles all for under $50! With the turn of the Fall Equinox, it’s officially plaid season! This is such a great print for cozy autumn nights. I love that you can dress plaid up for a “lumberjack chic” look, or keep your outfit casual for your daily pumpkin spice latte run. Also, please tell me what you think of the term “lumberjack chic” – it’s kind of cringe, but I can’t think of any better description! I really love this plaid peplum top in the pink cedar color. It would be so perfect for a trip to the pumpkin patch. I love the edgy vibes of this plaid skirt. Styled with a band T, it would be so perfect for fall. This plaid button down shirt is the coziest ever! I could live in this all fall long, sipping warm cider while watching the foliage. If these styles and seasonal festivities don’t excite you, then I don’t know what will! With so many options, how could you decide what you’re going to wear this year while apple picking?! Shop more plaid styles under $50 here.